With Republicans confident they can retake control of the House and Democrats trying to contain the damage, TIME.com looks at the key congressional and statewide contests across the U.S.
One overhyped story in the 2008 election was the supposed rise of Miami's moderate Cuban-American voters. Early polls, demographic data and fundraising trends indicated the conservative Cuban politics that had long held sway in Miami's three southernmost congressional districts (the 18th, the 21st and the 25th) was on the outs  and that Democrats might just pick one of them up. In the end, however, Barack Obama's coattails failed to reach the Magic City, and the best the Dems could do was Joe Garcia's six-point loss to incumbent GOP U.S. Representative Mario Diaz-Balart in the 25th. 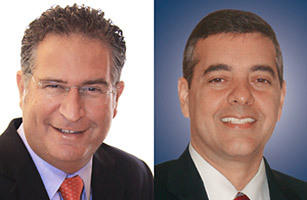 Garcia, former Miami-Dade County Democratic Party chairman and ex-director of the Cuban American National Foundation, is the Democratic candidate once again in the 25th, a district that was drawn largely for the benefit of Diaz-Balart in 2000 and is dominated by the Everglades, stretching from southwest Miami to Naples and the Gulf Coast. (The local joke is that the district has more alligators than voters.) But this time Garcia won't be facing Diaz-Balart  who is running instead for the safer, more heavily Cuban-American 21st District seat that his older brother, U.S. Representative Lincoln Diaz-Balart, is resigning from after 18 years. As a result, the Democrats believe that Florida's 25th is an open seat they can pick up to help offset all the districts they're likely to hemorrhage across the country on Nov. 2. As in 2008, early indications look promising for Garcia, 46, who's facing Republican state representative and fellow Cuban-American David Rivera. Democratic voter registration has caught up with the Republicans in the 25th, and independents now account for more than a quarter of the rolls. The district's number of white and non-Cuban Latino voters, who tend to lean Democratic, also continues to rise. What's more, Garcia, who raised a robust $1.8 million last time around, will probably eclipse that figure this year  and can also count on the $1.7 million in ad money the national party has set aside for him. Yet while political analysts feel the 25th is competitive, they continue to call it Republican-leaning, and not just because of the economy (Miami has one of the nation's worst home-foreclosure rates) or the fallen popularity of President Obama (who lost the 25th by only 1 percentage point in 2008). For all the chatter about Democrats, Cuban-American moderates and non-Cuban voters stepping up in Miami districts like the 25th, it hasn't yet manifested itself strongly enough at the ballot box. Most Cuban-Americans today, according to polls, favor lifting the failed U.S. trade embargo against communist Cuba. But Miami's 2008 congressional election results didn't reflect that softer stance  although Garcia, who favored letting Cuban-Americans travel and send remittances to the communist island more freely, did reduce the usually double-digit margin of victory for Mario Diaz-Balart, an embargo hard-liner  and it's not certain that will change this year. In fact, a big question is whether the district's conservative, Castro-obsessed cohort, which is famous for consistently strong turnout, has been energized by the ultra-conservative Tea Party movement. If not, say analysts, Rivera, 45, wouldn't be relying on the old polarizing Miami playbook. While on English-language media Rivera says Garcia "defends the broken ways of Washington," on Spanish-language media he calls Garcia a "henchman" for Havana and insists the Democrat "has the support of all the allies of the Castro regime." Garcia, who actually opposes lifting the embargo in toto, calls the charge ridiculous, but Rivera, says Florida political expert Sean Foreman of Barry University in Miami, "is sticking to that Cuba-based strategy because he feels it's working." Rivera, who once helped run Radio and TV Martí, the federally funded pro-democracy broadcasts to Cuba, can also ride the wave following Marco Rubio, the former state house speaker whose Tea Partyendorsed U.S. Senate run against Florida Governor Charlie Crist (now an independent) has galvanized the conservative Republican base. Even so, Rivera may be overplaying the Cuba card and treating voters "to the worst of Miami politics," as Garcia told the Naples News this month. At the same time, Rivera's past behavior has become as much, if not more, of an issue in the campaign as Cuba. Among the incidents he has had to answer for is one in 2002 when, according to police records, he allegedly forced a van carrying a campaign opponents' mailers off a Miami highway. Rivera was never charged, but though he denies he was trying to run the van off the road, the head of the mail-van service has stood by his driver's claim. Garcia spokesman Giancarlo Sopo says the episode calls Rivera's "character and integrity" into question. With the recession producing Florida's worst-ever unemployment, Garcia, who was a top official in Obama's Energy Department, is touting a 25-point job-creation plan that's heavy on investment and tax credits for small business, especially green-energy enterprises. But Rivera insists the real job crusher is the record federal deficit  an argument to which most Florida voters, especially in GOP-leaning districts like the 25th, seem sympathetic. And he points to work he did as the state house-appropriations-committee chairman to slash property taxes as proof of his fiscal conservative bona fides. Garcia "does have a chance of winning," says Foreman, who believes that if the Democrats can pick up a handful of seats like Florida's 25th, "they stand a good chance of keeping control of the [U.S.] House." Still, he adds, "if Joe couldn't pull it off in 2008," when Obama fared so strongly in Miami, "you wonder how he can pull it off in 2010," when Obama is suddenly political kryptonite. To make it happen, Garcia needs his district's moderate Cuban and non-Cuban voters to start living up to the hype. See 10 races that have Democrats worried for 2010.